Many customers are interested in MDBT42Q based on Nordic nRF52832 solution. 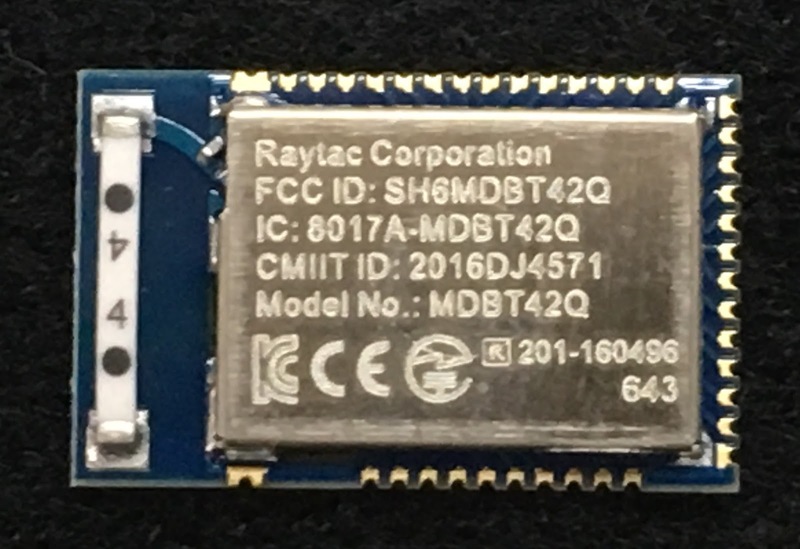 Raytac’s MDBT42Q has started mass production and has widely shipped worldwide. To provide a better service and easy customers safety regulation cost, Raytac’s remain the policy to apply module approval for most of the countries. Allow for safety regulation requested, Raytac’s MDBT42Q has equipped the shielding case with certificate no. engraved.